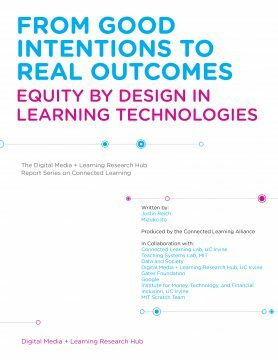 In February and May 2017, leading researchers, educators, and technologists convened for in-depth working sessions to share challenges and solutions for how learning technologies can provide the greatest benefits for our most vulnerable learners. The aim was to develop guiding principles and a shared agenda for how educational platforms and funders can best serve diverse and disadvantaged learners. These principles include inclusive design processes, ways of addressing barriers, and meth- ods to effectively measure impact.